There is an accelerating transformation of music listening; that much is clear. And if you change the way people listen, you will change the way people produce. So who and what wins in this brave new world? Let’s consider. The month of May brought still more signs of tectonic shifts, with Apple buying Beats and Spotify showing no signs of slowing. The Apple acquisition of Beats can’t really be measured in dollars, because Apple has so much cash on-hand. (US$150 billion – and expect that dry powder to start getting loaded into cannons.) At least unlike Facebook or Google, Apple doesn’t just randomly burn that cash on speculative purchases – you know, like Oculus Rift or robots. So this is really about strategic value, given they’ve waited this long to touch their war chest. Apple with Beats, of course, combines two leaders in a whole mess of categories; it’s obvious, but it’s worth saying again. Apple makes the most popular computers for producing music, the most popular mobile device for playing music, the most popular computer software for listening to music, and the most popular store for buying music downloads. Beats makes the most popular hardware accessory for listening to music, and while they don’t have the most popular streaming service, they’ve got perhaps the closest relationship to the music industry of any streaming service. (Remember, Apple’s last acquisition got them … NeXT, and Jobs. This time, they get Jimmy Iovine, a veteran of Interscope-Geffen-A&M, and loads of connections from both Dre and Iovine to the music scene in LA.) Beats are a huge player, whether you like them or not. Then there’s Spotify. No one else doing streaming is currently playing in the same league – not even Apple – and streaming continues to grow as download sales continue to sink. (35% growth in streaming versus a 13% drop in sales, as in the USA? Yeah, like that.) 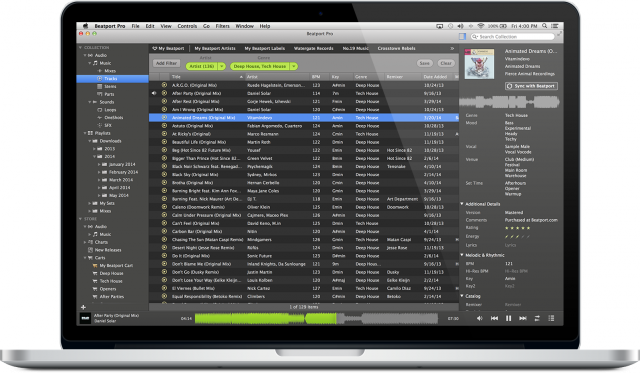 Add to that the appearance of Spotify in very-usable form in DJ apps (in the form of Algoriddim’s djay), and – relevant to us music makers, anyway – there’s something big going on. The whole consumer widget. Consumer listening – hardware, software, and service all together. Streams for everyone. Streams for listeners and casual DJs. Pros for the stuff you don’t stream. 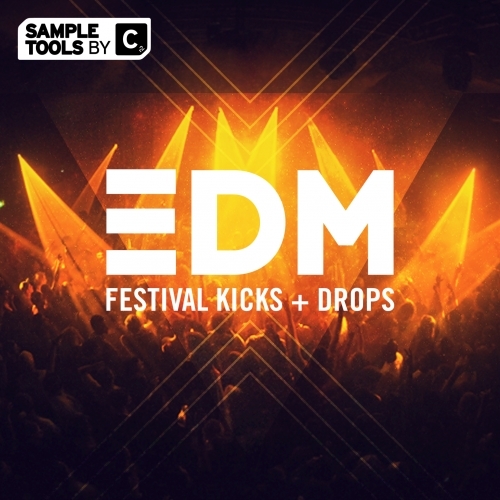 Downloads, physical media, and production-friendly tools for more serious DJs, enthusiasts, and producers. Humans. The ongoing power of the human being. In other words, music just got a lot more holistic and a lot more human than ever – even against the backdrop of music as a service as available as electricity or running water. You need everyone from good, quirky DJs to branding specialists and industrial designers, and everyone matters. So strap in. Yeah, those. But there’s something to the ubiquity of this logo. Only Apple and Sony have done it before quite like this. Photo (CC-BY) pooliestudios. 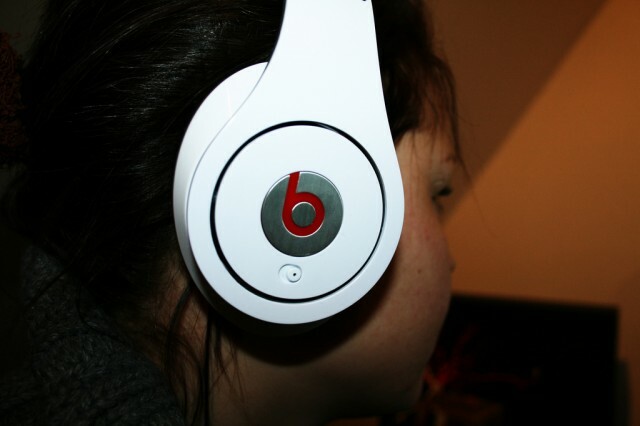 There just isn’t a brand that says headphones to people – not other than Beats. Beats have done that, and convinced consumers to pay premium price for mobile listening, something that only Apple and Sony have done before. That’s no small accomplishment. Remember, most kids today have no idea who Dr. Dre is. This is the power of the brand Beats now – and Dre deserves some serious credit for fighting to make that happen. The upshot in all of this is that brands matter; consumer impact matters. And you’ll notice one brand in each category: Apple. Beats. Spotify. This isn’t Coke versus Pepsi. It’s Coke, and then some small niche players (a nice bottle of organic Cabernet for the specialists, sold in small batches). Winner: those Beats headphones. Sorry, but that also means you’re going to keep seeing those headphones. (Apple Store placement has probably helped that over the years, too.) And, hey, they’re actually not that bad. A CDM reader who works for Beats quietly handed me a white pair of Beats Studio headphones at Musikmesse last year. To my surprise, they’re actually rather good in terms of sound, they’re insanely rugged (more so than my studio headphones), and reasonably comfy, if rather heavy; I’ve even traveled with them to give my ATH-M50s a rest. These aren’t the same Beats made by Monster, the company’s earlier partner, some of which were absolutely horrible. They’re fine. Would I recommend them to someone? No. You can get a significantly better-sounding pair of headphones for literally half the price. But that comes back to the marketing issue. I’m betting a lot of people who buy Beats haven’t ever tried the other headphones. Be glad they’re listening to your music on these and not white earbuds. 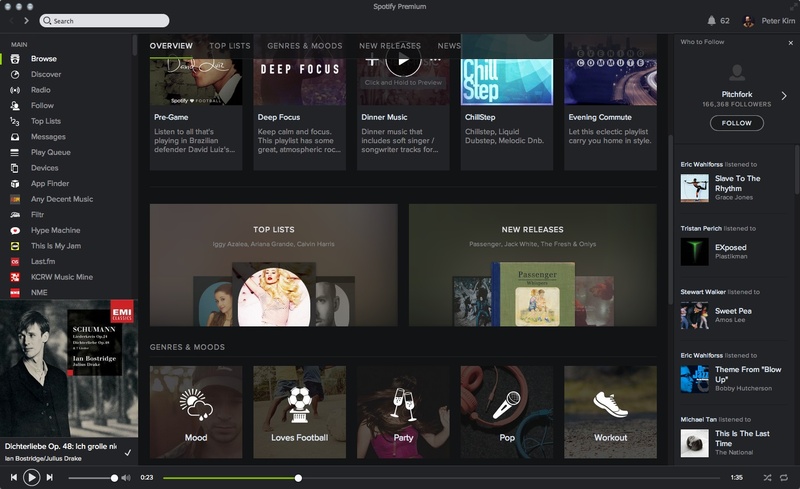 Winner: Spotify – and streaming. Apple’s investment is a second vote of confidence in streaming – on top of iTunes Radio. Otherwise, they could have simply bought some headphone manufacturer and stuck their logo on it, and that’s not what they’re doing. And the numbers don’t lie: people are streaming more, downloading less. That trend should only accelerate as Internet access, both wired and wireless, gets faster. Spotify wins even with Apple buying Beats, because it validates their market-leading position – which means they can get more capital if they need it, and their value has gone up in any future acquisition deal. Paradoxically, I think that means Apple buying Beats guarantees the future of Spotify – they’ve already got the mindshare, the listeners, the subscribers, the music collection, and now they’re valuable enough that it’s hard to imagine anything driving them out of business, at least for now. The only wildcard is if Apple finds some ingenious way to build a better streaming tool. But if Tim Cook is to believed, Beats has done that already – and it hasn’t made much of a dent in Spotify’s listeners. Winner: Downloads for “pro” DJs (for now). Serious DJing is likely to remain the one haven for downloaded files – for now. 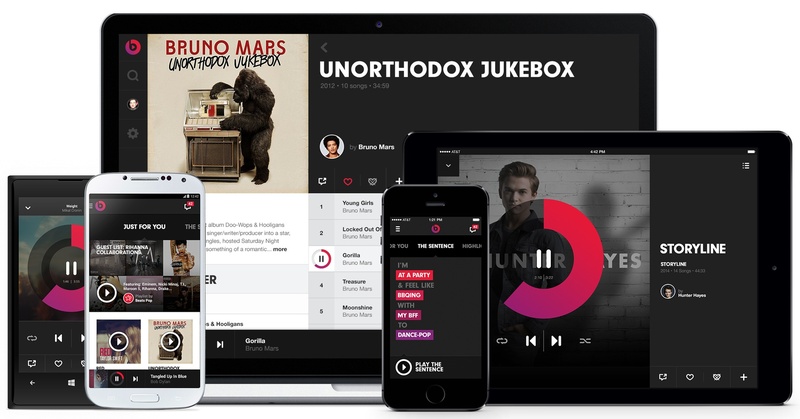 Licensing rules mean that no DJ app appears to be able to access music from a streaming service offline — yet. Slow access, especially in clubs (called “underground” for a reason), means you’d have to be nuts to rely on a streaming connection to DJ any serious gigs – yet. All these variables could change in the future, but you’ve got to gig this weekend, so that doesn’t matter. That also means download sites (like Beatport) that cater directly to the DJ market and dance music fans are likely to thrive. See also: labels’ own stores. (Now’s the time to invest in making those things you’d want to actually use.) And Bandcamp looks great for the same reason, especially as artists discover labels are too oversaturated to take on more artists. 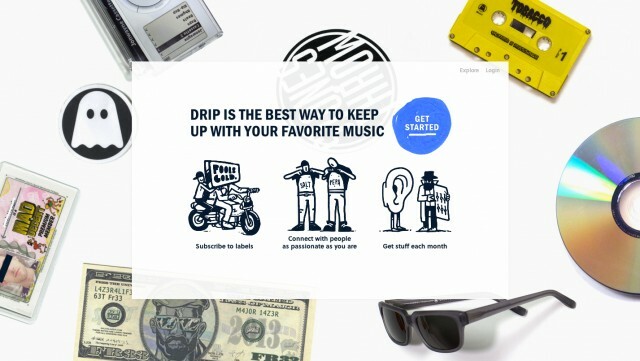 Winner: Internet-connected DJing. All of this said, streaming DJs are going to be a thing, too. 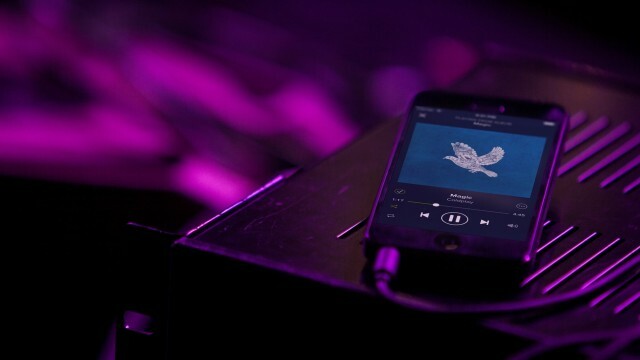 If you’re playing a wedding, or a friend’s party, or a small bar, or any number of casual gigs that make up a huge part of the DJ market, streams start to make sense. The pressure is lower in those situations, it’s more likely you can check for a reliable Internet connection in advance, and the importance of requests is greater. All that was missing was an app that made DJing with streams nearly as easy as playing from Spotify. Algoriddim’s djay is that app. I expect other DJ app developers like Native Instruments and their immensely popular Traktor on iPad to follow soon. It’s also clear that streams pair nicely with mobile DJing. Minus Records jewelry. Okay… maybe. Something physical, though. 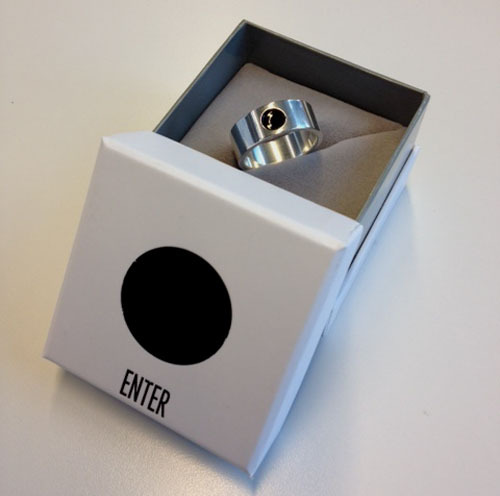 Winner: Tangible music. The more downloads shrink, the more vinyl and other physical releases will start to look appealing. And actually, with computers streaming music, it seems at least some DJs will win back dance floor respect by looking to vinyl. Maybe Pioneer really is going to make a turntable. Not everyone can go the vinyl route, so expect more other creative physical products – books and color photos, for instance, still retain value even with digital counterparts, because you flip through them and set them on coffee tables. Music has a different problem: arguing about analog versus digital aside, the reality is that everything eventually reaches a speaker. Can you expect these to be a significant revenue source? Frankly, in a lot of cases, no. But you can expect a lot to try, and some artists and labels will find some winning formulas, especially if they have the right fans and the right designs behind those tangible goods. Yes, this is happening. 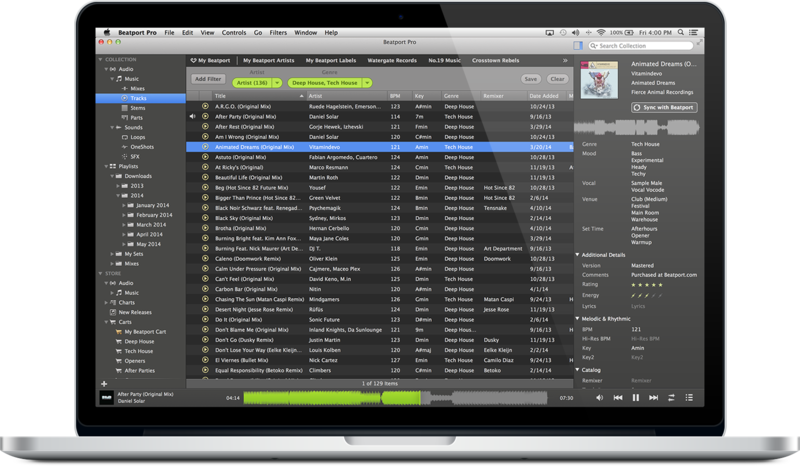 Products like “sounds” at Beatport, for producers, may eclipse track downloads – while the listeners go streaming. Winner: Stems, samples, apps, content. With pros gravitating toward downloads as consumers go streaming, it also makes more sense than ever to sell a release to other producers. Beatport’s Sounds section is already growing fast – and could be what that business needs to protect itself against the growing incursion of streaming, even into DJ apps. The DJ market itself continues to grow. And these formats provide content that streams can’t; I don’t imagine Spotify or Beats successfully streaming individual stems any time soon, nor would any sane artist or label release them to them. Add in other delivery methods, from custom apps to Ableton sets or Traktor Remix Decks, and you have a spectrum of digital releases that aren’t threatened by streams. Winner: Industry insiders. Bad news: the Internet didn’t quite work out the way we expected. It’s wound up with kingmakers, just as radio and record labels once had. So, sure, the cost of making music has gone down. But making music was always potentially free: go to a street corner and start singing. Distribution and marketing is what ultimately costs, and the reduction in studio time hasn’t changed that. Now, Spotify and Apple are in powerful positions. And they’ve turned back to that industry to get the biggest, most successful acts. Apple has so much as said in no uncertain terms that they bought Beats partly to get closer to the industry in LA. Don’t get me wrong: I actually enjoy the algorithms. It’s like a more interesting take on “shuffle.” But the reason radio and hand-picked mixes and podcasts survive is because people don’t just want a playlist, they want a person to go with it. They listen to the radio because it keeps them company. And the more machine algorithms dominate music, the more they may long for that company as a point of differentiation and a way of enriching the experience. So, the flipside of the staying power of insider industry culture is something more positive: the human DJ matters more than ever. A must-read that sums up a lot of these trends. BBC’s Radio 1 today exemplifies the new breed. It’s radio, and it’s popular for the reasons radio has always been popular. It has human selectors. They are still kingmakers, still mass-media. They still work with power brokers, even if that landscape is transposed. We’re talking mass media – but mass media on the Internet, driven by statistics in followers on YouTube and the like. Windows of opportunity. And that to me is the bottom line. The early days of the Internet came with a lot of illusions. We imagined indie labels and artists would blossom. They did – but the long tail turned out to get so crowded, those same artists often got lost, and revenue streams shrank and were watered down rather than growing. We imagined big power players would go away. Wrong: the big kingmakers might shuffle about, but a few winners would become more powerful than ever. We thought technology would trend toward greater fidelity. It didn’t – not exactly. We imagined quality, in our own eyes, would always win out. That’s always naive. But there are cracks through which the independent artist and label can survive. The explosion in production and DJing is one. For all that people complain that DJing and making tracks has gotten too easy, that might create the very enthusiast audience that saves a lot of music. It just means that musicians are the ones consuming. Another is the fact that the more our musical world tends to machines producing intangible music that switches on like radio, the more people may seek out human beings and physical goods. The one thing you can’t expect is for things to stay stable. It seems that if we want to play in this new musical world, we’d better be up for a challenge. CDM welcomes your thoughts – and any guest posts on these topics. Correction: An earlier version of this story claimed Hyperdub has a members’ card. I meant Hotflush Recordings (click Members Area for details). We love Hyperdub, too, though. -Ed.